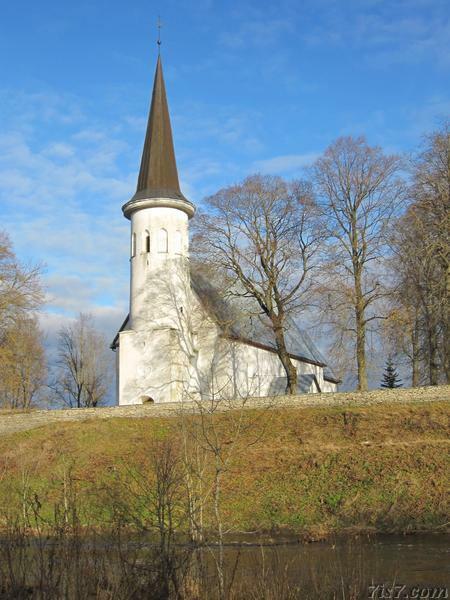 Lüganuse church has a distinctive round tower and is situated on the eastern bank of the Purtse river. The current appearance of Lüganuse church dates from the 14th century. It was damaged during the Second World War and later restored. Location: 59°22'45"N 27°2'24"E on: Google Maps, OpenStreetMap, Maa Amet.